Sugarflamephotography.com showcases the gorgeous photography of LA artist Stephanie Wright. This simple and powerful site pops and displays her substantial collection of work. The Crystal Room, Crystal Tones Mt. Shasta is a laberinthine crystal shop and spiritual mecca for crystal enthusiast around the world. 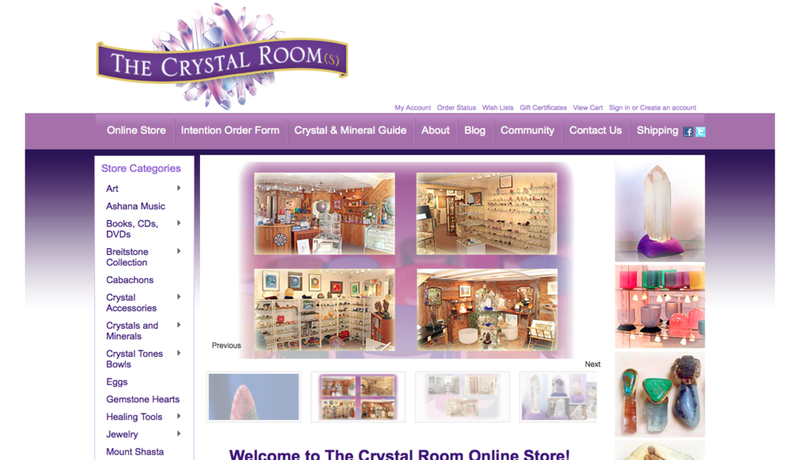 The website acts as a portal for people to access the many offerings of the Crystal Room even after they've left the shadow of Mt. Shasta. Transcendence Hypnotherapy's website is modern and minimalistic with pops of bright color and provocative imagery. Its aim is to familiarize visitors with the benefits offered by hypnotherapy.